Snorkel and breathe like mother nature taught us. Goodby jaw discomfort, goodbye difficult breathing, and goodbye water in your snorkel. With Aria full face snorkel mask, you breathe through your nose while the dry top prevents water from getting in the snorkel. No more foogging problems - Aria's breathing circulation inside the mask's frame guarantees no fogging and no extra stress. 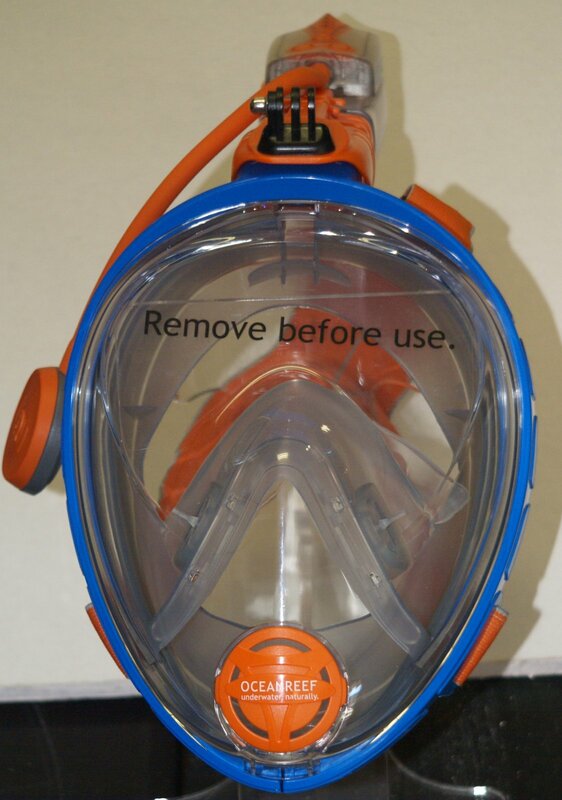 The Aria full face snorkel mask has 180 degree field of vision. Ocean Reef was the first to design a Full Face Snorkel Mask and has brought its 25 year knowledge in the scuba full face maks industry to the table when engineering all its products. Ocean Reef air circulation system is patented. You always breathe fresh air. Independently tested to ensure safety and comfort. No unsafe CO2 buildup.